It’s a new year, time to start over again. To make some positive changes to your life, how about trying out that Jiu-Jitsu your friends and heroes in the UFC are always talking about? 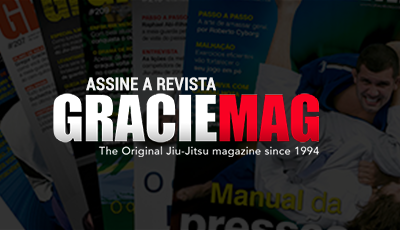 Getting started is easy: learn to tie your belt; learn to fall; and learn that GRACIEMAG is the magazine that will accompany you throughout your journey, from white to black belt. Will it take a long time? That, we can’t answer. But don’t get caught up in when. We’ll be here for you the whole time. As testament to our allegiance, we kick off the year showing you how to tie a knot in the first belt of your gentle-art progression. With problem number one out of the way, others will follow. But as Jiu-Jitsu and life teach us, it’s all about getting your wind back and keeping calm; everything will be resolved in due course. Something we can guarantee you, though, is that if you don’t give up along the way, you’ll be a great and worthy black belt some day. 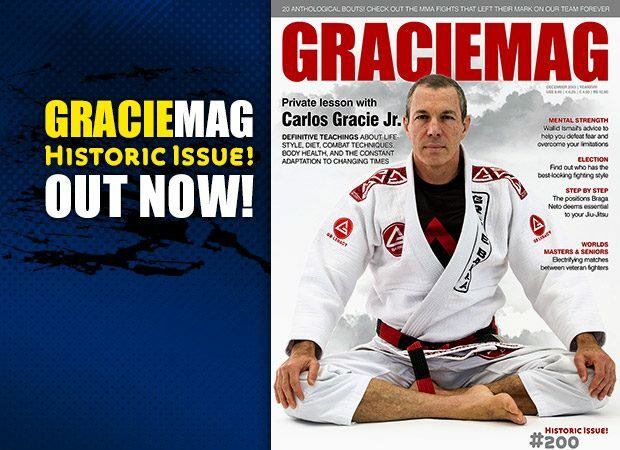 GM #200: A private lesson in Jiu-Jitsu, health and nutrition with Carlos Gracie Jr.